According to SF Gate, actress Lori Loughlin and her husband Mossimo Giannulli are pleading not guilty to charges filed against them as part of the nationwide college admissions cheating case. 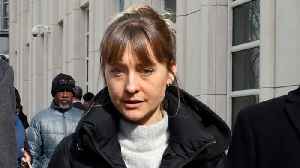 Loughlin and Giannulli are both charged with one count of conspiracy to commit mail and wire fraud and honest services mail and wire fraud, and one count of conspiracy to commit money laundering. The couple along with 14 other parents, were indicted by a federal grand jury on money laundering charges, as part of the nationwide college admissions fraud case. Laughlin and Giannulli said in court documents filed Monday they are waiving their right to appear in court for an arraignment. Why Lori Loughlin Pleaded Not Guilty in College Admissions Scandal: "She Plans to Fight"
A source told CNN that actress Lori Loughlin felt she had no other option but to plead not guilty in the college admissions scandal. 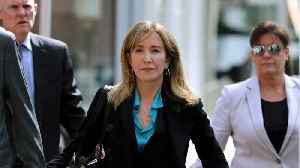 The source said, "Lori doesn't understand why she's getting so much..
Business Insider reports prosecutors plan to seek a four- to 10-month sentence for Felicity Huffman. Huffman was among 13 parents who pleaded guilty in the college admissions scheme two weeks ago. She..